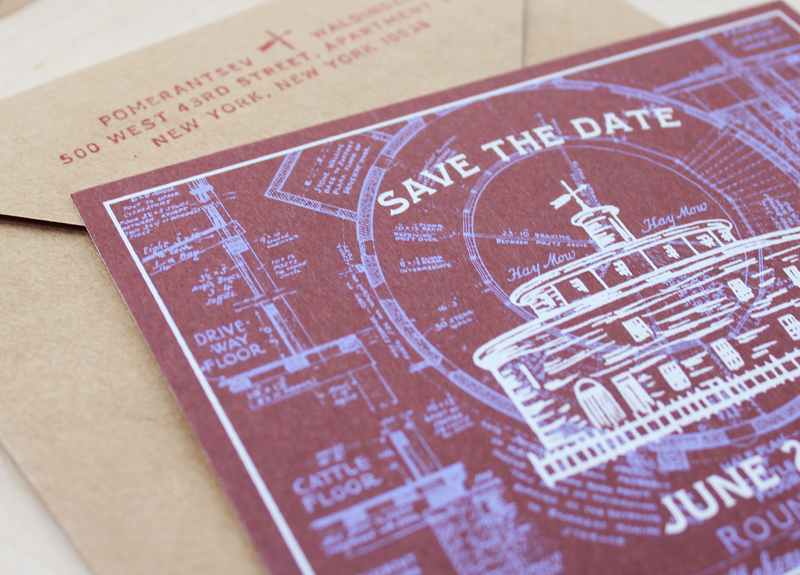 For James and Zhenya’s Save the Date, we incorporate an old drawing of the round barn from the Hancock Shaker Village in Massachusetts. An iconic location in their wedding. 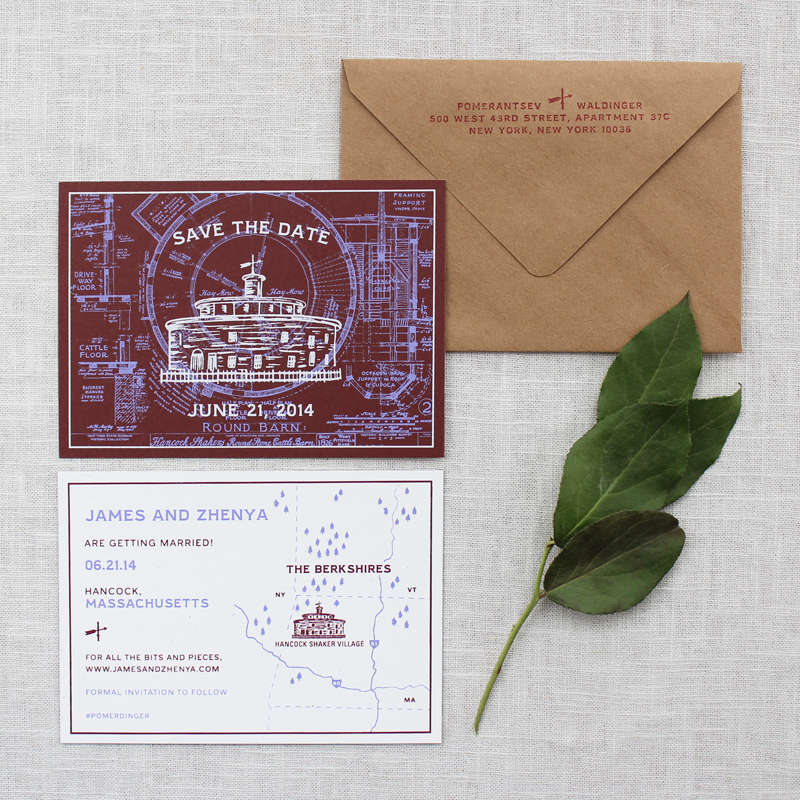 An unusual combination of lavender and white ink on wine colored paper creates an eye-catching front for their Save the Date. 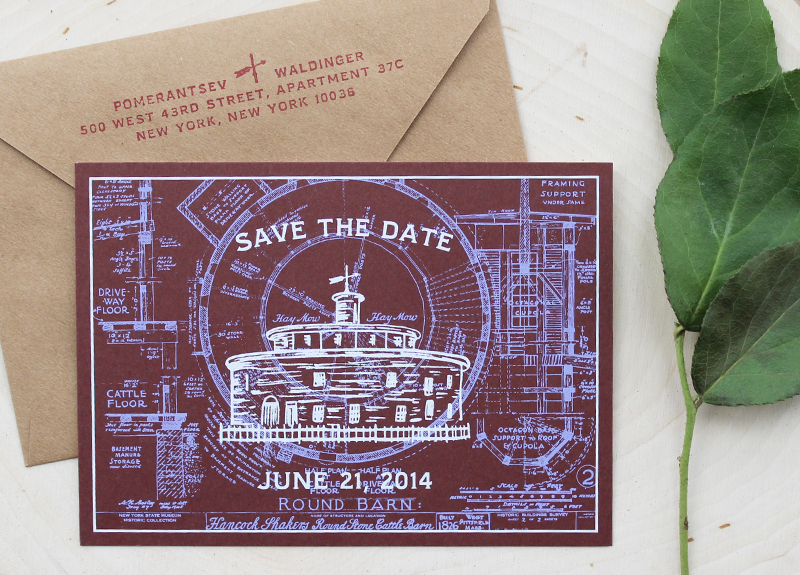 The back of the Save the Date includes a little map along with details of the upcoming big day. This piece was screen printed and duplexed by hand to allow for a striking contrast between the two sides.